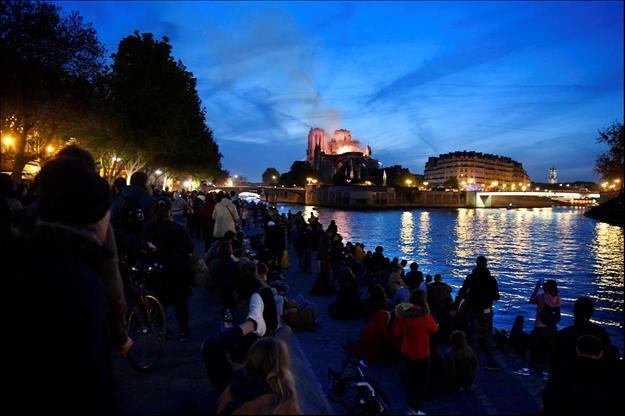 (MENAFN - The Conversation) Scrolling through news of the Notre Dame fire on social media feeds was like watching a real-time archive of grief in the making, as people expressed their dismay and sorrow at the damage wrought. Many of us will bring memories of visiting the cathedral and our understanding of its significance to the images of Notre Dame on fire, which might explain why we feel so strongly about the destruction of this heritage. As Roland Barthes explained in his influential photographic text Camera Lucida , we interpret images according to political, social and cultural norms. Knowing that Notre Dame survived two world wars, the French Revolution and the Paris Commune, as well as Nazi occupation and Hitler's intention to raze it to the ground, may also change our perspective and feelings about this place. As somewhere that has been included in many works of literature and cinema – most notably in Victor Hugo's The Hunchback of Notre Dame and the Disney film adaptation – Notre Dame was already part of the heritage of humankind. We should be conscious that all heritage places deserve the same attention, regardless of their 'instagrammability'. As we have seen today , people sang and prayed in front of Notre Dame, while parts of the roof and the spire of cathedral fell to their death. Although it is difficult to measure the emotional impact from the loss of a monument by fire, it is nevertheless quite real.